Paris Saint-Germain team is welcoming this duel after their latest series of five consecutive wins, three in the Championship and two in the UCL over APOEL, after which they together with FC Barcelona already ensured a place in the knockout phase. It just means that they can now totally devoted their attention to the fight for the first place in France Ligue 1, where their next rivals OM are currently at, so we are absolutely sure that they are going to give their best in order to come closer one point. Here we need to mention the fact that the current French champions still have not felt the bitterness of defeat this season, though they are constantly playing on two very strong fronts, but it is certainly largely to thanks to their wide bench, so coach Blanc has an adequate alternative for each position at any moment. Therefore, the absence of Ibrahimovic for more than a month was not felt so much in a game, while we should also add that the injured midfielder Verratti is still questionable for this match. As for the guests from Olympique Marseille, we have already said that they are after 12 rounds on the leading position in Ligue 1, with four points more than PSG and five compared to the third Lyon, which defeated them two weeks ago in the championship, after their stunning series of eight consecutive victories. This has certainly disrupted them, which was best confirmed by the next match in the French League Cup where they were defeated away at Rennes while they last weekend with a lot of trouble came to the minimum home triumph over Lens in the Championship. But the most important thing for a coach Bielsa is that they managed to come back after two straight defeats, but also to the four points of excess entering this big derby with Paris Saint-Germain, so they will certainly be somewhat relieved at Princes Park. On the other hand, they are certainly not very happy by the fact that their top scorer of France Ligue 1, Gignac, has not scored a goal in three consecutive matches, so he will definitely need extra help this time in the offensive part. We should also add that their injured central defender Morel will have to miss this match, as well as the suspended midfielder Romao due to his red card. FC Paris Saint-Germain: Sirigu – van der Wiel, Thiago Silva, David Luiz, Maxwell – Motta, Matuidi – Lucas, Pastore, Lavezzi – Cavani. 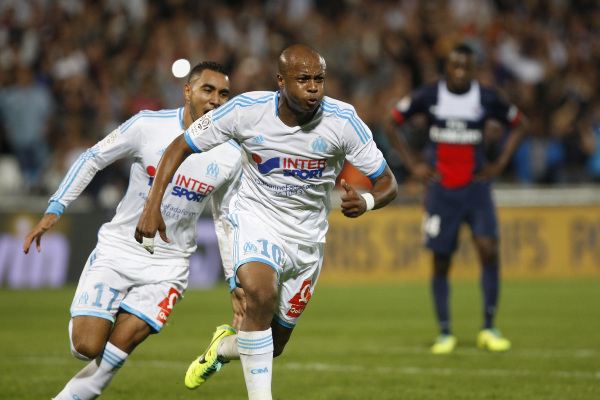 Olympique Marseille: Mandanda – Dja Djedje, Fanni, N’Koulou, Mendy – Lemina, Imbula – Thauvin, Payet, Ayew – Gignac.